While on the power play, Jordan Weal sent a pass from the top of the right circle down low to Phillip Danault, who one-touched a pass to Joel Armia in the slot. Armia fired a one-timer blocker side on Connor Hellebuyck and in. Brett Kulak sent a pass from the right point across to Jeff Petry at the left point. Petry one-timed a slap shot over the glove of Connor Hellebuyck and in. Jacob Trouba let a slap shot go from the right point that was stopped by Carey Price. With Price down on the ice, the rebound went to the left circle where Jack Roslovic knocked the puck to Mathieu Perreault in the slot who spun and fired the puck past a sprawling Price and in. Jets finish regular season 25-12-4 at Bell MTS Place. The Jets head on the road for four games to end the regular season. Went 1-3-0 on their four-game homestand. Finish the season 18-12-2 against the Eastern Conference. Didn’t have a power play opportunity tonight, which is the first time this season that has occurred. 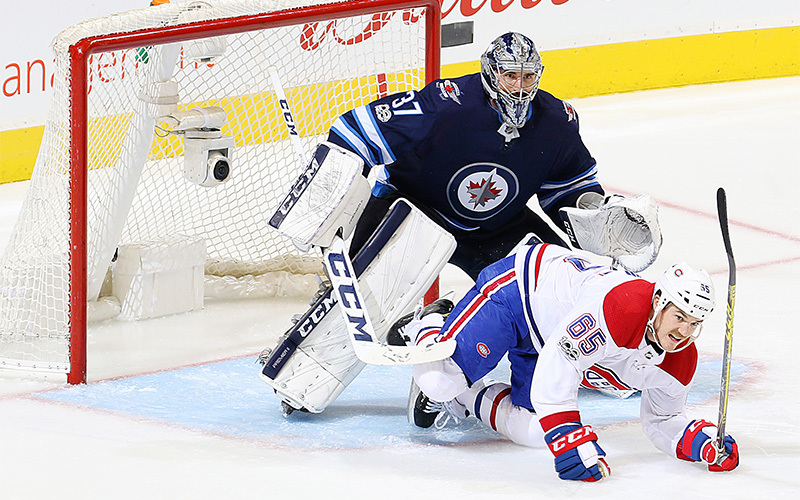 With the win tonight, Montreal has won the last three meetings between the Jets and Canadiens. Jets fall to 6-23-0 when trailing after the second period. Jets were outshot 43-24 tonight, and are 28-18-4 when being outshot this season. Played his first game after a 19-game absence. Led the Jets in ice time, playing 24:24. Led the Jets with four blocked shots. Led the Jets with six hits. Scored his 15th goal of the season, ending a six-game goalless drought. Returned to the lineup after missing the last three games, picking up his 15th assist of the season. Was the Jets top face-off man, winning 7-of-8 face-offs. Stopped 41-of-43 shots. Hellebuyck’s is 4-2-0 when making over 40 saves in a game this season.